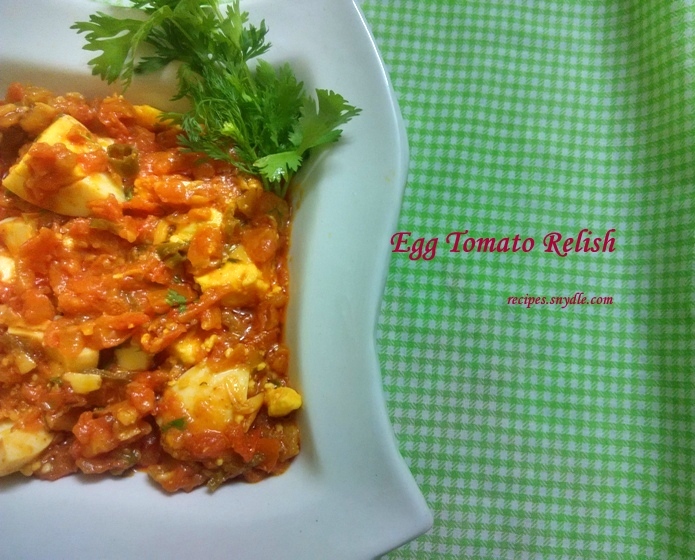 How to make Egg Tomato Relish Recipe/Tangy Tomato Eggs Recipe/Eggs in Tomato Sauce Recipe. Hi foodies! 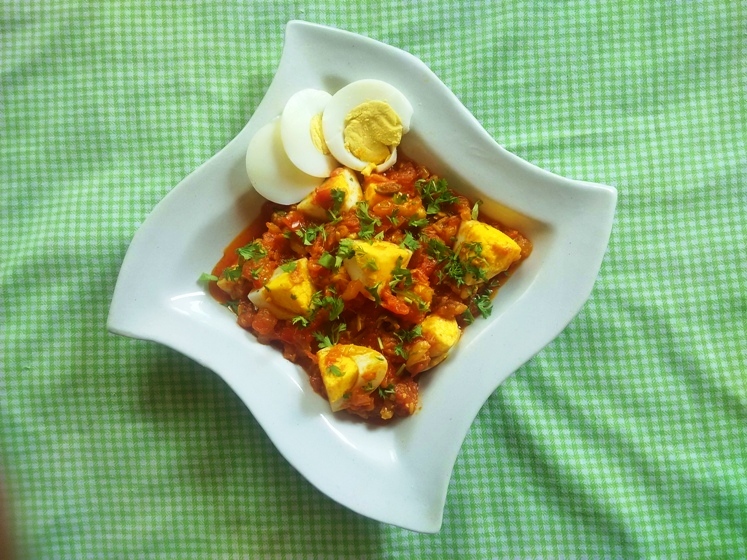 Here is a tangy tomato eggs recipe for you, where boiled eggs are served with home made tangy tomato sauce or tomato chutney. It’s the boiled eggs with tangy tomato relish. Tomato is the main ingredient in this recipe. 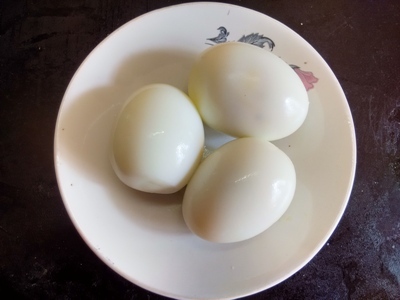 You must have made many egg recipes like egg bhurji, egg tomato curry, egg tomato rice, egg tomato sandwich, egg tomato soup,egg tomato salad, egg tomato bread, egg tomato cheese, egg tomato Chinese, egg tomato fondue, egg tomato pie and many more. But this is a unique egg recipe of my grandma. This egg in tomato sauce recipe is different in style. The ingredients required are quite less. Tomato is the key ingredient. The tomato sauce is made with oil, garlic, chopped green chillies, red chilli powder, turmeric powder, oil and salt. 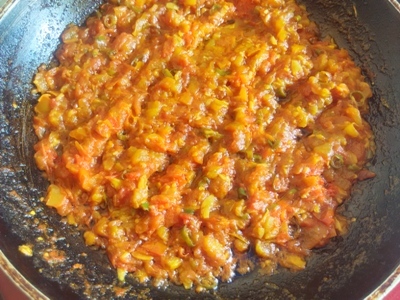 If you like to have sweet and sour taste in the tomato sauce, add a tsp of jaggery or sugar to sauce at the same time when tomatoes are added to the pan. This tangy tomato sauce can also be used as bread spreads or as a tomato chutney. 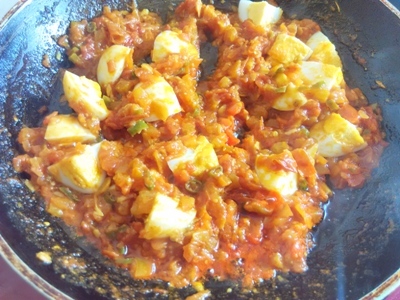 This recipe of egg tomato goes well with roti, parathas and jeera rice. In my opinion have it with parathas. We usually serve this recipe with laccha paratha. Be careful while adding boiled eggs to the tomato sauce, add the eggs at the end. Gently mix the boiled eggs with the tangy tomato sauce or the eggs will scramble. You can replace egg with shredded chicken and use as the sandwich stuffing. This tangy tomato sauce can be had plain as a side dish with roti or rice. 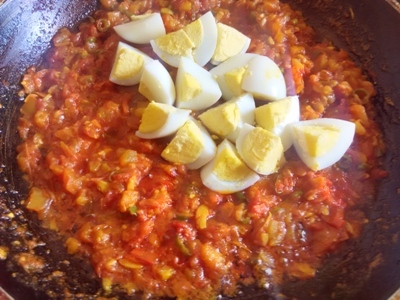 Else you may make it as main dish for your dinner that will be called as egg tomato dinner recipe. 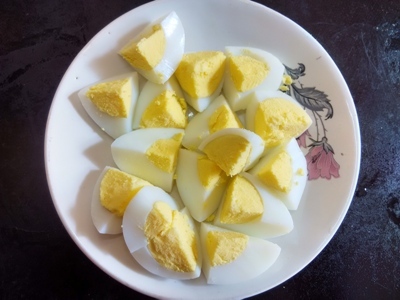 Here I have used boiled egg but this recipe could also be made with poached egg where add the raw eggs directly to the sauce at the same time be alert that the egg yolk does not mess up and It must look like bull’s eye. 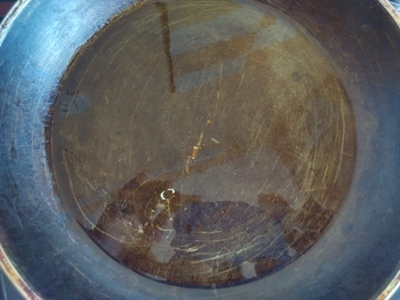 After adding raw eggs cover the pan with lid and allow the eggs to cook. This recipe is called as poached eggs in tangy tomato sauce. This recipe of Egg Tomato Relish yields 2 – 3 servings. For the purpose of measurement, 1 cup = 250ml. 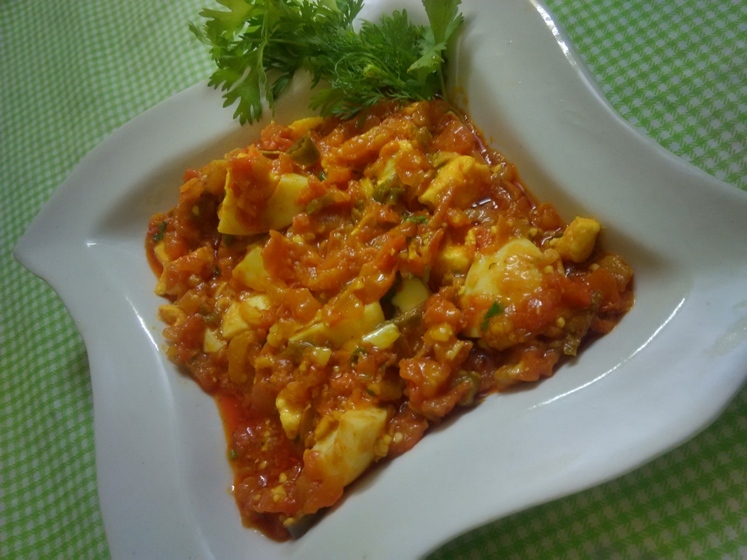 How to make Tangy Tomato Eggs Recipe/Eggs in Tomato Sauce/Egg Tomato Relish. Boil 3 eggs. If the eggs were in refrigerator than for 5 – 10 minutes keep those eggs in a normal. Allow it to fall into room temperature and then boil them. When the eggs gets a boil reduce the flame to low and cook for 10 – 15 minutes. Off the flame when the eggs are boiled, leave it for 5 minutes in the same water. 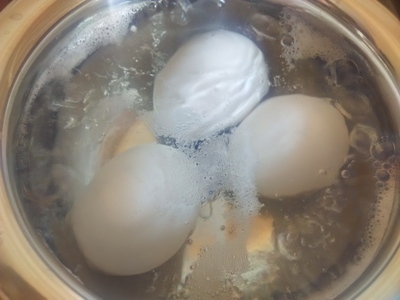 Now remove the eggs from the water and allow it to rest for another 5 minutes and Now peel the eggs. This process will give a hard boiled eggs and the egg peel could be removed easily. Now cut each egg with the knife in 8 equal parts. Heat a pan and oil to it. 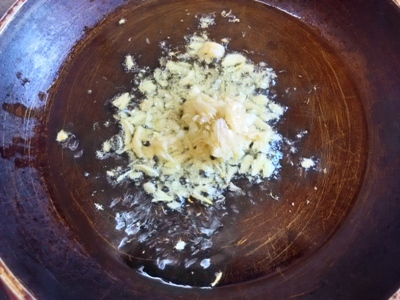 Place crushed garlic into the hot oil and stir it well. 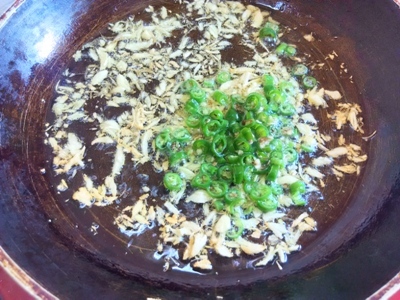 When the garlic turns light brown, add chopped green chillies into the pan. Mix it well. 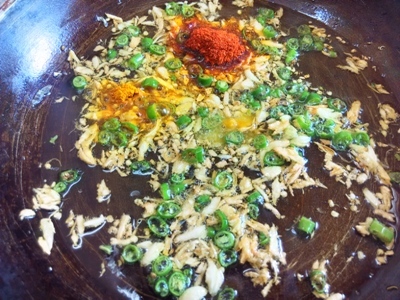 Now add red chilli powder and turmeric powder to the pan. Mix them well. Now add chopped tomatoes and salt to the pan. Mix them well. 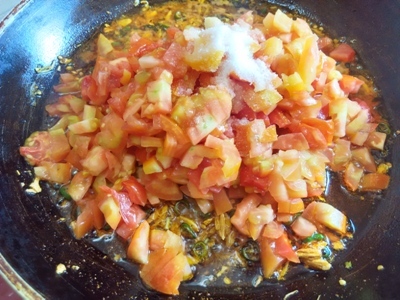 Allow the tomatoes to cook on low flame for about 10 -12 minutes, till the tomato sauce starts releasing oil on the edges. When the tomatoes are cooked, add the sliced eggs to the tomato sauce. Gently mix the eggs and tomato sauce well until the tomato sauce covers the eggs completely. 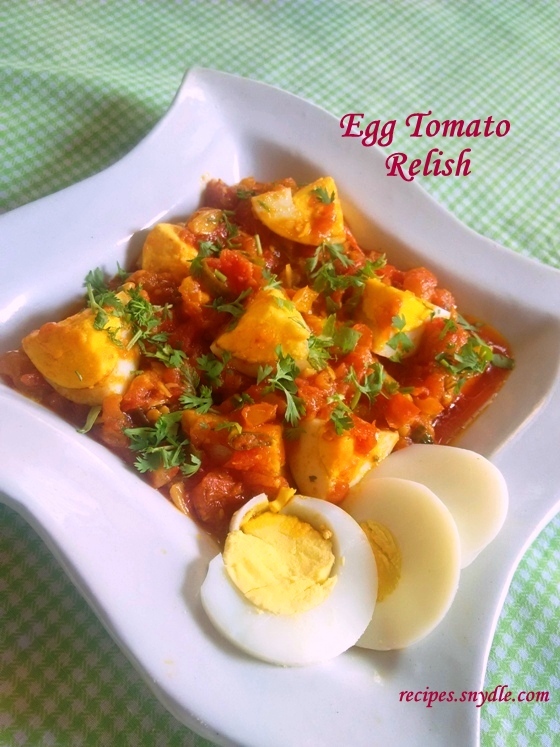 Tangy Tomato Eggs Recipe/Eggs in Tomato Sauce are ready to eat. Serve hot and garish it with sliced boil egg and chopped coriander leaves. 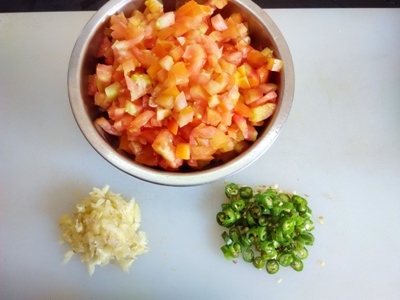 Previous Post: Mixed Vegetables Recipe/Mixed Veggies Recipe.